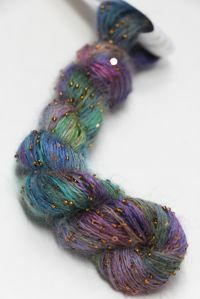 US 6/5 St per inch, but can be used with up to 17's for different effects. 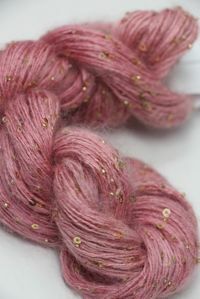 Stunning is this color - our new pink for Spring - this beautiful not quite solid butterfly pink is light and delicate, and still makes a statement. 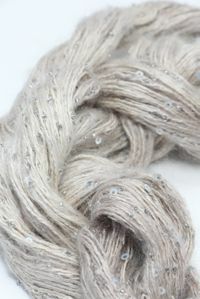 SILVER Beads & Sequins. 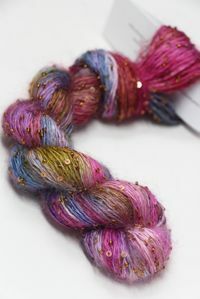 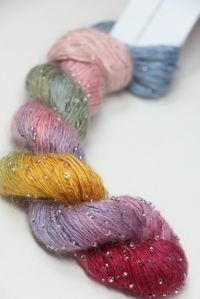 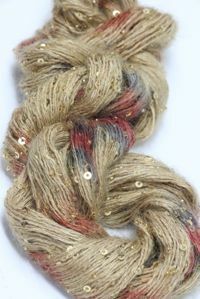 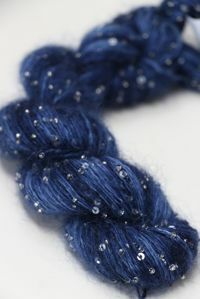 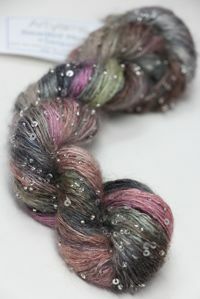 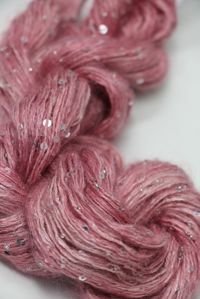 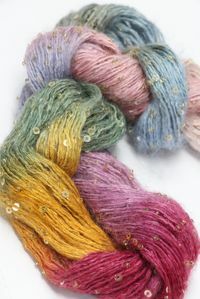 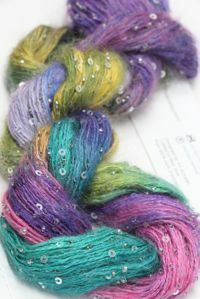 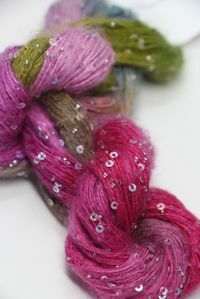 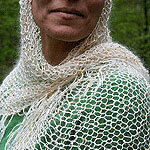 See it in all our fibers on our Featured Color - Anne's Pink Page. 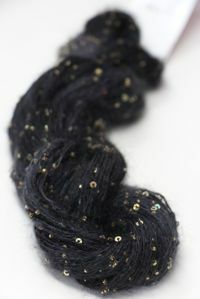 Also Available with GOLD Beads and Sequins. 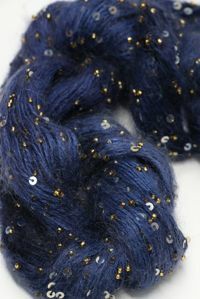 Fabulously soft silk & mohair with Italian Murano Beads and Sequins. 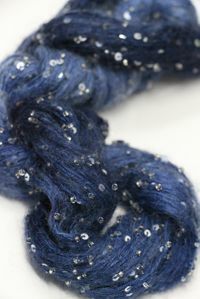 Sparkle-Galore! 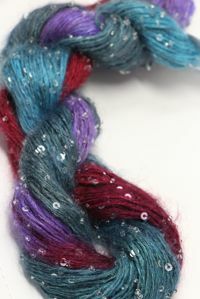 GAUGE: 1.6 Oz/50g 114 Yards/104 Meters US 6/5 St per inch, but can be used with up to 17's for different effects.